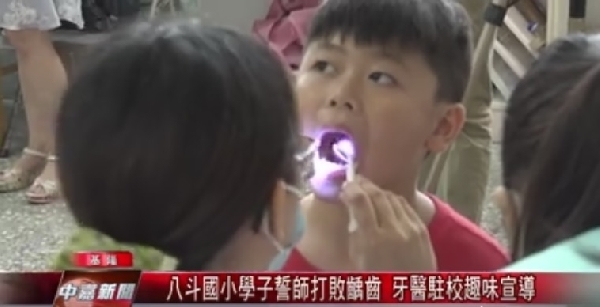 A rendezvous event with the dentists took place at Keelung Municipal Badou Elementary School. Utilizing fun challenge games, Charming Dental Clinic partnered with Christian Gospel Mission's Peace Medical Corp (CGM PMC) to teach the children the importance of dental hygiene. Occupational therapists were also present at the event to educate the children by adopting musical elements and focus-training techniques, which are commonly used in occupational therapy. The children were encouraged to apply these skills to benefit their school performance.